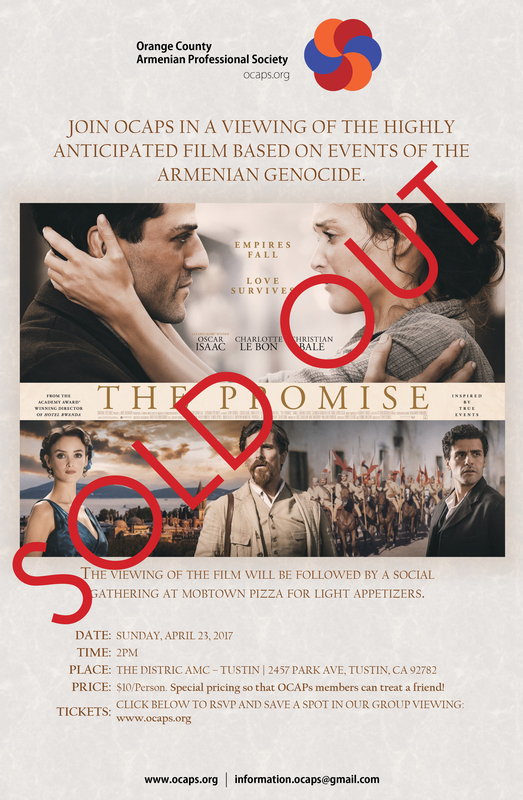 Join OCAPS in a viewing of the highly anticipated film The Promise, based on events of the Armenian Genocide. Please RSVP by registering and paying for your ticket to save a spot. We have greatly subsidized the viewing and after event to ensure our members and non members can make it!